Here we are, readers – the first post of a new year! 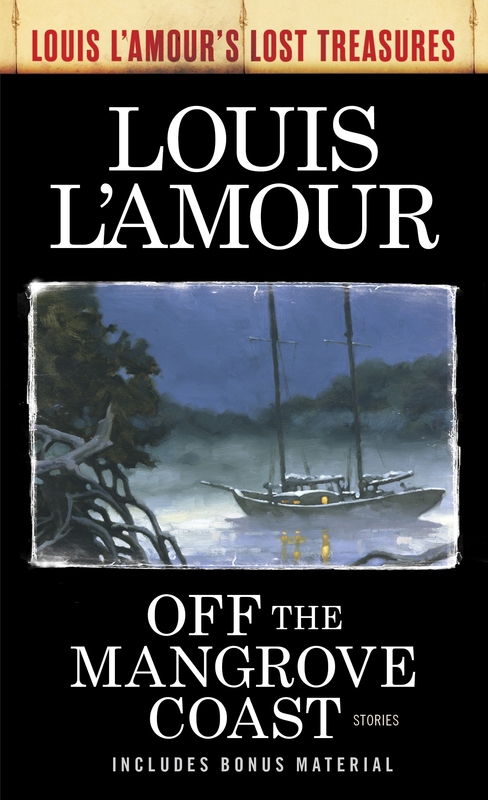 Today’s topic is a Louis L’Amour novel, one of my favorites. 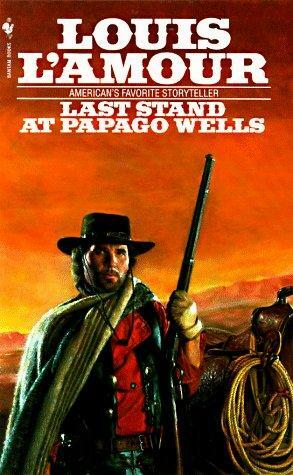 Last Stand at Papago Wells was one of the first two or three L’Amour books that I read, and it has a special place in my heart because of that. This tale is a beauty. Full of suspense, action, intrigue, and tension, L’Amour poured a great deal into this story. It would make a fantastic film, and I hope someone gets the rights to it one of these days. This is a Western that deserves to be on the silver screen! Okay, enough of the fan-ranting. It’s time to describe the story! Logan Cates is drifting through the desert when he picks up a trail going toward Yuma. At roughly the same time, he spots a cloud of dust moving in the same general direction. It could be nothing more than a posse or a few travelers headed West…. But with Churupati, a half-Apache, half-Yaqui Indian raiding, pillaging, and murdering small farms and settlements throughout this section of Arizona, those explanations are not entirely satisfactory. Either set of trails Logan has seen and is following could belong to the renegade’s men. It is hard to make sure at a distance, though one trail definitely seems to have been made by white men and not Indians. Worried by the flurry of activity in what should be a fairly empty desert, Logan pushes forward. This portion of the Territory is largely waterless; only a few tanks up ahead hold out any hope of water. Known as Papago Wells, these particular tanks fill up with water inch by inch over the desert months. Catch them at the right time and you will find enough water to help you along. Come upon them at the wrong time, and you are dead. Logan needs water, and so he is headed to the Wells to refill his canteens…. …And that’s the same place everyone else he has noticed seems to be heading as well. Up ahead, Jennifer Fair and her fiancé, Grant Kimbrough, are on their way to Yuma to marry. Pursuing them is Jennifer’s father, Jim Fair, a well-known and well-respected cattleman. Having been to school back East for the last few years, Jennifer has come to hate her father and Arizona. This hatred has been fed to greater heights by the fact that she saw her father gun down a young man her ten or eleven year old self had a crush on. She is determined to leave the country by any means available or necessary. Taking advantage of all this, Kimbrough proposed to her. When her father absolutely refused to accept him as a prospective son-in-law, he suggested they run away to marry, which Jennifer was all too happy to do. On the way toward Yuma they happen across the remains of two cowpunchers the Apaches killed and mutilated. Lonnie Foreman, the only survivor of the attack, pops up from the rocks and explains what happened. Hitching a ride with the couple, they continue on to Papago Wells. 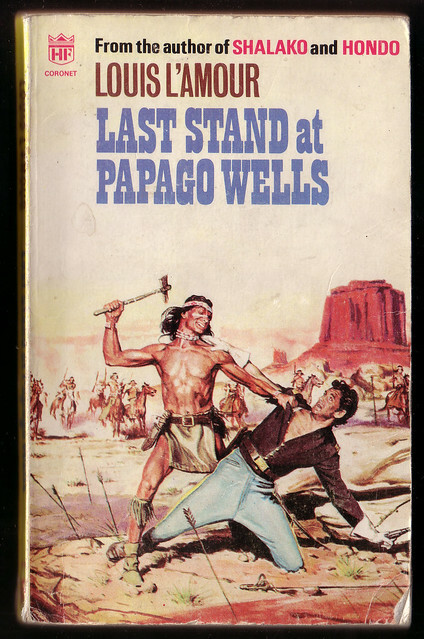 There they meet an old buffalo hunter and his Pima Indian companion, who were pursued to Papago Wells by a posse from Yuma after they killed a young man intent on making a name for himself by murdering one or both of them. Elsewhere, Junie Hatchet is taken captive by a band of marauding Indians. She escapes them temporarily, only to be chased into an outcropping of rock over the course of the following day. A cavalry patrol which was absorbed into the posse finds and rescues her before heading into Papago Wells, too. Prior to their arrival Logan pulls into the tanks and mentions the Apaches are watching and waiting to strike at those who will congregate at the Wells. Not long after the gang is all together, Churupati puts them under siege. Elected leader of the group, Logan Cates must find a way to keep them all alive until search parties from Yuma, a nearby fort, or Jim Fair reaches them. Otherwise they are doomed to die at the hands of the Apache. This entry was posted in Book Reviews and tagged American West, Apache, Apaches, Book Reviews, books, books about the old west, historical novel, Last Stand at Papago Wells, Louis L'Amour, old books, Old West, the American West, The West, Treasure of the Sierra Madre, Western novels, westerns on January 11, 2019 by The Mithril Guardian. Louis L’Amour is a household name due to his wonderful tales of the men and women who made the West. But he would not have gotten there if he had not started his career as an author writing short stories for magazines. Since his father’s death Mr. L’Amour’s son has been going through the author’s archives to collect the short stories which the publishers did not have. Those he finds are put into collections such as the one we will look at today. Off the Mangrove Coast, while the title story, is not the first piece which we encounter on opening the book. That is “Fighters Should Be Hungry,” which focuses on one Tandy Moore, a young man with boxing potential who is currently a hobo. Entering a hobo jungle outside Astoria, Oregon, one of the fellas his own age makes a comment which irritates Tandy. He shakes the guy a little, only to be told by one of the other tramps to let the kid alone. Tandy rounds on the older man and gets socked in the mouth after trying to start a fight with him. Friendships have many strange beginnings, and the camaraderie between Tandy Moore, Gus Coe, and Briggs is no exception. Realizing that Tandy can really fight, the two fellas take him under their wing and teach him some moves before they put him in the ring. But it isn’t just money these men want; they’re intent on taking down a criminal and the boxer who works for him. Tandy especially wants a crack at the other fighter for something that happened a long time ago…. Next we have “It’s Your Move,” a short story set somewhere on the Northwest Coast. It’s about a dock worker who likes to play checkers and is good enough to whip everybody else who works there. So what do you think happens when he meets a guy who can beat him? After this comes “Off the Mangrove Coast,” a straight-up treasure hunting story. It focuses on four men who go in search of a sunken ship in the South China Sea. This ship was carrying a gold shipment when it went down and, when there is gold involved, trust becomes scarce. The young hero of this story is not close to any of the men he sails with, and two of them look less than friendly when they talk of the prize they seek. The third, a black man named Smoke Bassett from Port au Prince, seems much nicer. But when the chips are down, who will stand beside their friends, and who will end up shark bait? I liked these first three stories a fair bit. Smoke Bassett is one of the L’Amour characters I think the most of, even though he only appears in this story. He was a good fella and a strong friend – and yes, I am dropping a veiled spoiler on you here. Therefore, we will go to the next story, which didn’t entertain me near as much as these three did. This would be “The Cross and the Candle,” which is set not long after World War II in France. Here the unnamed hero meets a fellow American who lived and worked in the country before WW II broke out. He had a girl who worked for the Resistance during the Nazi occupation, but she was killed by a traitor. Ever since, this man has been searching for her murderer – and he thinks our unnamed protagonist can help him catch the guy. “The Diamond of Jeru” is the next story in this collection. It is funny; when I was a child, my father would mention “The Diamond of Jeru” on occasion. 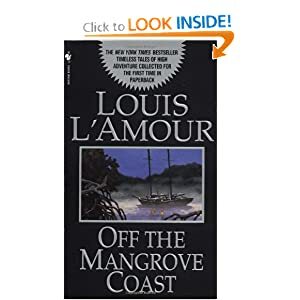 So when I saw the title in Off the Mangrove Coast, it rang a bell that took some time to bring back the memories from my youth. 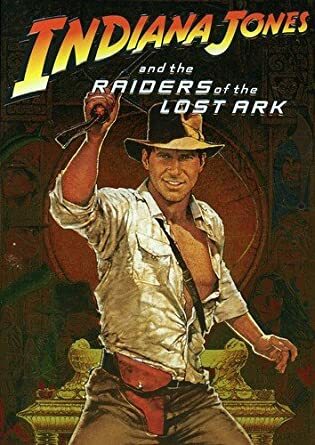 For some reason, this title always made me think of an Indiana Jones adventure someone had written up but which I had never seen. To be fair, “The Diamond of Jeru” does have some Indiana Jones flair to it. This tale is about Mr. Kardec, a man who went to Borneo in search of diamonds. He found – and lost – a fortune of them, which left him stranded in the country. With no money to pay his way home he has guided others up the Baram River in search of the gems. It means he can meet his bills while keeping body and soul together… but it does not earn him enough to buy a ticket home. So when a Mr. and Mrs. Lacklan arrive and offer to pay him to be their guide, things begin looking up. Until two problems arise: one, Mrs. Helen Lacklan is younger than her husband, being nearer in age to Kardec than to her man. She is also strong, able, intelligent, and courageous as well as physically attractive. Two, Mr. Lacklan wants to take her up the river with Kardec and himself, which could attract the attention of the natives. But since Kardec desperately wants to go home, he works out a deal with the two despite these problems. Then, a few days before they are to go, the Lacklans return so that Mr. Lacklan can tell Kardec they have found someone who will take them up river much cheaper. However, the thought of Helen’s head being added to Jeru’s collection finally gets to him, and he packs up to follow the couple upriver. While this was a riveting story, I cannot say it was one of my favorites. It is much darker than L’Amour’s normal fare – and Indiana Jones’ stories, for that matter. Also, L’Amour rarely had this type of love triangle go on in his stories, but when he did do it, I always found it annoying. So though “The Diamond of Jeru” was well done and relatively interesting, it isn’t a story I like to reread much. This means that the piece following this one, “Secret of Silver Springs,” was a breath of fresh air when I picked up the book first. As the title suggests, this is a Western; four men meet on a stage route and, being short on cash, they decide to rob the next coach coming down the line. Instead, they end up saving it from men who want to kill the passengers on said stage. The story starts with this intriguing reversal and, though it gets a bit dark, it is in general the type of Western I have come to expect from L’Amour, making it well worth the read. Following this we have “The Unexpected Corpse,” a detective piece about a PI who gets a call from an old friend who is now an actress. Having found a dead man in her home, she calls our hero to “hush…up” the mess, but he calls the cops instead. Though he knows the woman has the ability to kill, our detective is ninety percent sure she didn’t commit this crime. But it all comes down to proving that – before the police put her behind bars. While this story was a little dark, it is not as sinister as “Jeru.” Nevertheless the next tale, “The Rounds Don’t Matter,” was a much better installment. Patty Brennan, an up and coming boxer engaged to the daughter of a police chief, is trying to help the cops catch a mobster who works as a boxing manager. This mobster likes to have the other boxers throw the fight so his man wins the match; those who won’t take the money get taken out. One of those honorable fighters was Patty’s best friend, and he intends to see this guy pay for murdering his pal. After this we come to the final story in the book, which is called “Time of Terror.” This has to be the darkest story L’Amour ever wrote – it is certainly the most frightening one of his that I have ever read. While having a drink at a bar one night, the hero of this tale sees a man walk into the bar – a man who should be dead. Turns out that this old friend isn’t so friendly; he made a fortune faking his demise, but there are a few loose ends he has to wrap up before he can feel safe enough to live on his ill-gotten gains. One of those loose ends is our hero. In all, Off the Mangrove Coast was not a bad read, though “Jeru” and “Terror” both creeped me out. None of that blights the other tales in this collection, however, which is why I recommend it. Off the Mangrove Coast would be worth the read for the title story alone, but add “Silver Springs,” “The Rounds Don’t Matter,” “It’s Your Move,” and “Fighters Should Be Hungry” into the mix, and you can pass a good evening with this collection. These are my opinions, of course; if dark tales are to your taste, you may like the stories I hate and hate the ones I like. All this blogger has done is praise the pieces in the collection which she found most enjoyable. “Terror” and “Jeru” might be right up your alley, readers. But you won’t know that for sure until you check this book out! 😉 Have fun looking up Off the Mangrove Coast, readers – and feel free to come back with a comment telling me which stories you liked best! This entry was posted in Book Reviews and tagged Book Reviews, books, Indiana Jones, Louis L'Amour, Off the Mangrove Coast, old books, short story collections on July 6, 2018 by The Mithril Guardian. This entry was posted in Quotes and tagged American West, books about the old west, Louis L'Amour, Quotes, The Cherokee Trail, westerns on June 21, 2018 by The Mithril Guardian. Most followers of Thoughts on the Edge of Forever probably know by now that I enjoy Westerns. A lot. Films, books, TV shows – whatever the medium, I will happily devour tales set in the Old West. I have reviewed some books about the Old West by one of my favorite authors, Louis L’Amour, here on this blog several times. 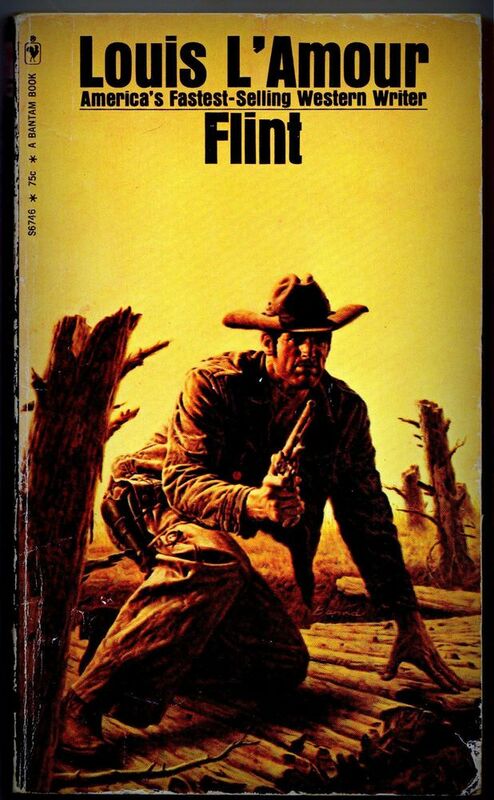 But a little while back, I got to read a classic western that was, in many ways, the progenitor of the archetypes we recognize in the genre today. This was none other than Owen Wister’s The Virginian. This book has been made into a film several times. 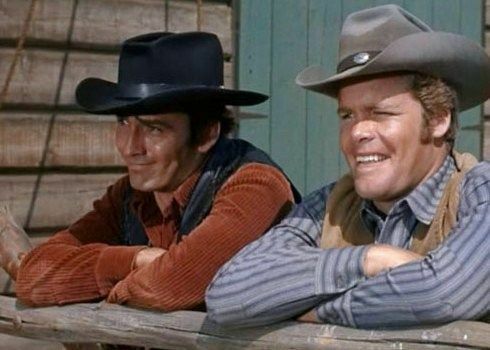 It also gave us the television series led by James Drury and Doug McClure. I began watching reruns of the show ages ago, so I knew something of the book’s characters and plot from research I did on the series. But I have to say, studying the details really does not do the novel justice. It is something of a slow read, in the beginning. This book was written at the turn of the twentieth century, after all, when there was a certain form expected of a novel. The author used these forms liberally. Of special interest to me is the fact that Wister dedicated his book to Theodore Roosevelt, even changing one page in the story because the President implied it was not well done or accurate. If that is not a stamp of approval, then I do not know what is! The Virginian is told largely from the point of view of an unnamed Narrator. Due to poor health, our Narrator is invited west to get better by a friend named Judge Henry. The Judge sends his most “trustworthy man” to collect the Narrator at the train station. In case you have not guessed who this is yet, we know him throughout the story as the Virginian. If you thought you knew the Virginian in James Drury’s portrayal of the character, readers, you have not seen anything yet! From start to finish he pulls surprise after surprise on you. Whether he is playing a devilishly brilliant prank on someone; dealing with his archenemy, Trampas, or expounding upon the equality of men, the Virginian is never still or dull. Over time, the Narrator becomes a lovable character, too. Honorable mention goes to his and the Virginian’s mutual friend, Scipio le Moyne, who is absolutely wonderful. The Judge is an amicable character, and when you run into the preacher, Dr. MacBride – Holy cow! Do not read that section in the library. You will be laughing or choking so loud, people will have to shush you right out of the building! There is only one thing about The Virginian which bothers me, and that is the damsel our lead falls in love with. Having been fed off of Louis L’Amour’s rich stories for so long, I expected Miss Molly Wood to have the same qualities as L’Amour’s women. No such luck. Molly Wood is an absolute twit. More than once, I wanted to smack her upside the head and tell her how many buns make a dozen. I have never – not once – felt that way toward any of the women in L’Amour’s novels and stories, readers. It was a new and rather aggravating experience, which made reading this wonderful book a little trying at times. Lest you think this was misogyny or sexism on Wister’s part, I will tell you that he characterizes two other women in the novel quite nicely. Mrs. Taylor and Mrs. Henry are fine, smart Western women. They know their men and understand the Virginian better than Molly Wood does. Mrs. Taylor even goes so far as to say that if she could, she would marry him herself, and that she does not think Molly Wood is good enough for him. (I agree with her wholeheartedly on that.) I do not doubt that both these women also know how to handle guns, just like L’Amour’s women. Another magnificently characterized woman in the story is Molly Wood’s great aunt. She is wise and capable, not to mention a deep thinker who knows her grandniece’s heart better than the girl’s mother, who is twice as irritating as Molly. So Wister did not think all women were airheads, readers. He respected women in general and treated three of them well in the book. But this makes his decision to have Molly Wood be such a dense cluck more puzzling than before. I cannot help but wonder why he wrote her the way he did. Maybe she was based off of a real woman he knew; maybe she just walked into his head and he could not expel her. I do not know. What I do know is that she drove me crazy enough to wish the Virginian had not selected her as his bride. To pair someone that amazing, that wonderful, off with a woman so stubbornly stupid seems pretty unfair to him and to readers like me. Other than this quibble, I enjoyed reading The Virginian. I hope that you will, too, readers, in spite of all my griping. It really is a wonderful story that should be read more often than it is. 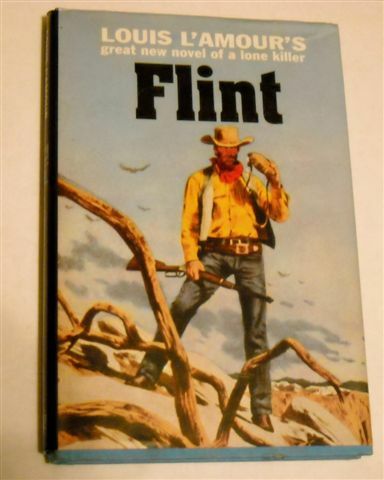 This entry was posted in Book Reviews and tagged Book Reviews, damsels, Doug McClure, Have Gun Will Travel, James Drury, knights, Louis L'Amour, Owen Wister, Paladin, The Virginian, Theodore Roosevelt, Western novels, westerns on November 17, 2017 by The Mithril Guardian. Kearney McRaven comes down from the mountains, where he has been punching cows all winter, to find his father dead. According to several people, Mr. McRaven committed suicide after losing a poker game. Except, as Kearney McRaven knows, his father was not a quitter. He had been gambling for several years now, and losing every time. Yet never before did he ever consider killing himself after losing a game. So why the sudden change? Then Kearney overhears men in the tavern talking, and he learns that his father did not lose said card game. Actually, he won nine to ten thousand dollars that night. So if that is the case, then he could not have killed himself. He had won his first poker game, and he had won it big. He had no reason to commit suicide. But whoever he was playing against had thousands of reasons to murder him. Kearney goes to the town judge to get his father’s belongings, and the judge sticks to the story he was first told: his father lost the game and committed suicide. But Kearney is not having it. Keeping his father’s pistol on the judge, he tells him to take out the money – and the deed – that his father won in the poker game. The judge does not like it, especially since Kearney is so young. He is not even eighteen. But he is in no position to argue with the pistol that Kearney is holding, despite having a gun of his own in his safe. He hands over the money and the deed, but not without trying to sweet talk Kearney into entrusting it to him. Kearney would rather light it on fire and watch it burn. He gets out of town, heading back for the cabin where he lived while he kept watch over the cattle. He stashes the money and the deed along the way, just in case. This turns out to be fortuitous when, in the cabin where he lived for the last few months, he meets the judge and some thugs. They beat him up and demand that he tell them where he hid the money. But Kearney knows that if he tells them where he hid it, they will kill him. So he lies and says it was stolen, in order to buy himself some time to make a plan. Eventually, he manages to escape the judge and his cronies. But he is so banged up that he would not survive if he did not run into a group of friendly Indians. The Indians take care of him until he is well enough to ride off. Doing this, Kearney comes to another town. There he meets a man who, from behind, strongly resembles his father. He is so taken aback that he calls the man “Pa,” startling the man and making him turn. He really, really should not have said anything to the man. Why? Let’s just say the money Mr. McRaven won in that card game is not the only reason someone would want him dead. It turns out that Mr. McRaven came from somewhere in the American south. He went west to escape a family feud that has been tearing his clan apart for generations. They wanted him out of the way so they could claim sole possession of the land Mr. McRaven held through inheritance. Thinking the senior McRaven had no heirs, this branch of the family now believes they are in the clear because of his death…. 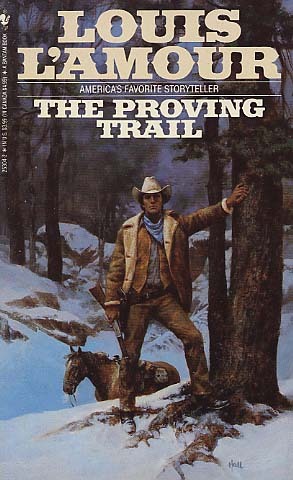 The Proving Trail is a fast paced, thrilling tale of murder and intrigue. 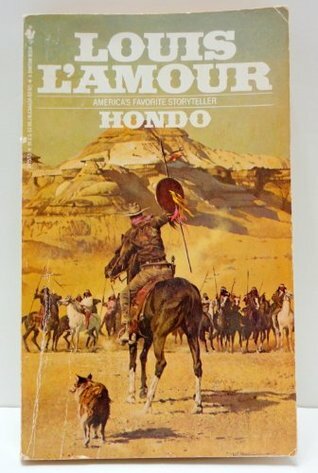 It was the second L’Amour novel that I read, the first being The Cherokee Trail. The historical accuracy is, as usual, superb. Mr. L’Amour shows he is a knowledgeable man in this story. The McCoys and the Hatfields have nothing on the McRavens and the Yants. But you do not need to take my word for it, readers! Pick up The Proving Trail and find out for yourselves how good a story it is! This entry was posted in Book Reviews and tagged Book Reviews, books, books about the old west, Hatfields, Kearney McRaven, Louis L'Amour, McCoys, old books, poker, The Cherokee Trail, The Proving Trail, Western novels, westerns on May 9, 2017 by The Mithril Guardian.